Arca Continental - sales and profits both up. Mexican food and beverage business Arca Continental has seen its 2017 sales increase by an impressive 46.4% on a like-for-like basis. Profits were also up, by 44.9%. 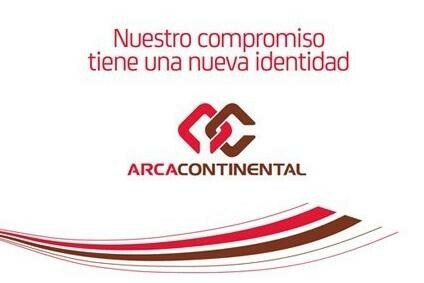 the Arca Continental team to better serve every day, our customers and consumers, we were able to once again, double our revenues in five years in a profitable and sustainable manner. "This result does not include the effects of the new operations acquired in the US. New Zealand's largest honey producer, Comvita, returned to profit in the six months to 31 December, helped by sales to North America. CEO Scott Coulter says: "Comvita's total sales were up 45% on the prior period, driven by sales to North America, which reached NZD19.6m for the half-year period compared to NZD1.6m on the prior period, and meets our strategic objective of market diversification." For the full-year, the company expects profit after tax of more than NZD17.1m based on the assumption of a normal honey production season. Colombia-based food group Grupo Nutresa saw both sales and profits increase in full year 2017, on a year-on-year basis. Sales abroad were also up by 5.7% and accounted for 36,8% of Grupo Nutresa's total sales. Mexico-based bakery giant Grupo Bimbo saw its sales rise but its profits fall in what CEO Daniel Servitje called "a transitional year". Bimbo's net sales climbed more than 6% in 2017, helped by organic growth in Mexico and acquisitions. However, Bimbo's operating income and net majority income were lower. The company's divisions of Latin America and a combined Europe/Asia/Africa remained loss-making, with the latter's spiking amid "integration delays" in Iberia. Brazil-based meat giant BRF rounded off 2017 – a year of the industry-wide Carne Fraca scandal – with a fourth-quarter loss, which contributed to a year in the red. After reporting a profit in the third quarter, BRF booked a fourth-quarter loss of NRL784m due to an inventory write-down and amid a "more challenging" period in its international markets. The Carne Fraca had an BRL363m hit on BRF'S EBITDA amid product returns, freight and storage costs and legal expenses. CEO José Drummond Jr said: "The challenges we faced in 2017 allowed us to implement an important course correction, whose results should be strongly evident as of 2018." Dutch dairy giant FrieslandCampina has reported an increase in annual revenues but pressure on its bottom line. Higher selling prices and the acquisition of Pakistan's Engro Foods boosted FrieslandCampina sales in 2017. The write-off of assets in China and Germany, as well as restructuring costs, weighed on the co-op's profits. Spain-based olive oil supplier Deoleo has booked a significant narrowing in its full-year losses. The Carbonell and Carapelli owner posted a loss of EUR18.4m for 2017, down from EUR179.4m a year earlier. Deoleo said it had "practically achieved the break-even point in the operating result (EBIT), compared to the losses of EUR131m the previous year". The improvement in profitability came amid a savings and efficiency drive. Sales were "steady", coming in at EUR692.3m, flat year-on-year, though volumes were down "slightly". Belgium-based fresh, canned and frozen produce group Greenyard has recorded flat quarter three sales while over nine months its revenue is down by 1.7%. The firm, which pulled out of a deal to buy Dole Food Group at the start of the year, said in a trading update covering the period up to December that the acquisition of Mykogen added 0.3% to its top line. US-based Hormel Foods, which produces Spam and Justin's peanut butter, has seen a 19.7% hike in net earnings for its Q1 2018, on a like-for-like basis. CEO Jim Snee said: "We are pleased to report a strong quarter of earnings growth. In addition to the benefit from tax reform, Grocery Products delivered excellent earnings growth which was partially offset by continued challenges at Jennie-O Turkey Store and higher-than-expected freight costs. "This quarter we also completed the strategic acquisition of Columbus Craft Meats. The Columbus brand is on-trend with today's consumer and meaningfully changes our presence in the deli while helping us become a broader food company." US chicken business Sanderson Farms has seen both its sales and income increase in its Q1 fiscal 2018 results, on a year-on-year basis, as poultry market prices increased. CEO Joe Sanderson Jr said: "Our results for the first quarter reflect higher market prices for dark meat products sold from our big bird de-boning plants compared with last year's fist quarter, offset by lower white meat prices. "Poultry market prices for tray pack products sold to retail grocery store customers were higher when compared with the same period a year ago and continued to reflect a healthy supply and demand balance in that customer market. On the other hand, the overall food service market remains weak. Traffic numbers through legacy food service chains continue to trend lower, and market prices for boneless breast meat reflect that weakness." Infant formula maker Bellamy's Australia says its turnaround plan is gaining traction after near doubling its 2018 half year revenue, compared to its equivalent period last year. CEO Andrew Cohen said 'While there are still challenges to navigate, we are pleased to see that our turnaround plan continues to gain traction and the overall health of the business has improved. "Our sales and share position are stronger, we have increased marketing investment, streamlined logistics and overhead costs and worked through ageing inventory." Australia's Ingham's Group, the country's largest integrated poultry producer, has seen its net profits increase by 28.1% in its H1 2018 results, compared to the equivalent period in its 2017 trading year. But sales were down slightly on the back of higher costs. CEO Mick McMahon said: "The results are pleasing and reflect both good progress on implementing our strategy and continued strong demand for Ingham's quality products supported by consumer preference for great value, healthy and versatile poultry products." Mexican tortilla maker Gruma saw its Q4 sales decline by 3% on a like-for-like basis. It lost a week of operations in the US because of hurricane disruption and was also affected by exchange rate fluctuation. Income was up by 8%. The company - which makes the Mission brand tortillas - said: "Performance in 4Q17 enabled the company to remain in line with guidance for full year results, despite the temporary disruptions from the hurricanes in the United States in 3Q17. "It should be noted that performance at Gruma USA in 4Q17 reflected the effect of one less week of operations versus 4Q16. Therefore, consolidated sales volume was flat and net sales were 3% lower. Consolidated results were also impacted by the peso appreciation effect on Gruma USA figures, when measured in peso terms." Maple Leaf Foods today (21 February) reported a fall in annual net earnings but the Canada-based food group pointed to rising sales, margins and underlying profits. The company's top-line growth came from recent acquisitions and organic growth. Increased sales across the business boosted Maple Leaf's adjusted operating earnings. Maple Leaf's fall in net profit was on the back of factors including unrealized losses on derivative contracts, the change in fair value of biological assets and restructuring costs. High Liner Foods FY figures hit by "under performance"
Canadian frozen seafood specialist High Liner Foods saw its full year 2017 sales increase, on an equivalent basis with the prior period, but net income and EBITDA were both down. CEO Henry Demone said: "Year-over-year reported sales and sales volume improved in the fourth quarter of 2017, bolstered further by the acquisition of Rubicon, however, gross profit and adjusted EBITDA were below our expectations due to under performance across the business. "Both our Canadian and US operations experienced unfavourable changes to product mix and increased costs. We are committed to improving performance in 2018 and plan to do this through actions on pricing, costs, supply chain effectiveness and product innovation." Arla Foods today (21 February) reported rising annual sales - boosted by a record rate of organic growth for the European dairy giant - but the Castello and Lurpak owner saw its profits fall in 2017. Natalie Knight, Arla's CFO, said Arla had booked "the single biggest organic revenue increase inside one year in company history", helped by the group's "continued drive into international markets". Despite the lower profits - recorded in part as Arla lapped a gain it booked on an asset sale last year - the company said its net profit of 2.8% of revenue was within its targeted range. Arla expects its revenue in 2018 "to be at a similar level of EUR10-10.5bn" while the co-op is continuing to targeting a net profit share of 2.8-3.2% of revenue. It foresees seasonality having "a high impact" on its half-year results, which are expected to be "below the annual target range". South Africa-based consumer goods group Tiger Brands has reported a decline in revenues during the first four months of its financial year. In the period to the end of January, Tiger Brands' revenues fell 5% amid a 4% drop in volumes. Tiger Brands said the decline in volumes was "driven mainly by the home and personal care categories and exports". However, the company said its gross profit had risen year-on-year thanks to a stronger exchange rate and lower raw-material costs. the year. Any meaningful recovery remains dependent on an improved consumer environment which may be influenced by measures to be announced in the budget speech later today." H1 sales, profits leap at A2 Milk Co.
New Zealand-based dairy and infant-formula supplier A2 Milk Co. has reported another set of bumper results, posting jumps in half-year revenue and profits. In the six months to the end of December, A2 Milk Co. revenue leapt 70% year-on-year, while its net profit more than doubled. 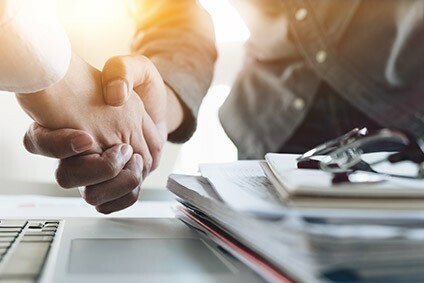 Alongside the results, A2 Milk Co. announced a "comprehensive strategic relationship" with Fonterra, the New Zealand dairy giant. Shares in A2 Milk Co. spiked on the announcements. Glanbia has seen its 2017 sales rise by 9.2% and its profits by a huge 55.3% on the back of underlying performance and gains arising from the Ireland-based dairy and sports nutrition group's disposal of 60% of its domestic dairy products business. Group managing director Siobhan Talbot said: "The strategic evolution of the group portfolio continued in 2017 with the acquisition of two highly complementary businesses to the GPN portfolio, Amazing Grass and Body & Fit as well as the disposal of 60% of Dairy Ireland and the subsequent creation of the Glanbia Ireland JV. "These initiatives demonstrate the ambition of the group to build on its existing strengths, drive future sustainable growth and deliver on our vision to be one of the world's top performing nutrition companies." Jefferies analyst Martin Deboo said: "Fiscal year 2017 is in line, with a strong finish to the year in Glanbia Performance Nutrition. The dividend is ahead 65%. Fiscal year 2018 guidance reflects a year of volume-led growth and is for 5-8% earnings per share growth at constant forex, weighted towards H2. Forex guidance of an 8% headwind implies flat to modestly declining headline earnings per share, in the range of both Jefferies and consensus. Dairy deflation looks set to make FY18 a challenging year." Full-year 2017 sales were marginally up on the previous year at US fresh fruit and vegetable supplier Fresh Del Monte Produce but income was down by a huge 46.3% amid lower selling prices and higher distribution costs. CEO Mohammad Abu-Ghazaleh said: "We were pleased with the momentum in diversifying our business in 2017. 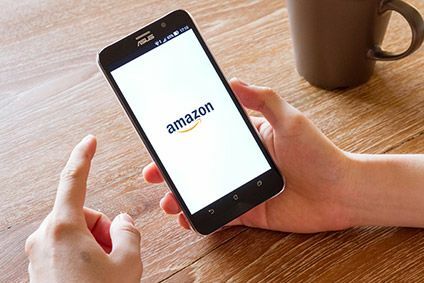 Throughout the year, we continued to execute our strategic initiatives to leverage our infrastructure and keep pace with the rapidly evolving consumer needs." Ireland-based Kerry Group's consumer foods division posted an increase in full-year sales, but profits fell partly because of the adverse impact from sterling. The company said the snacking sector continued to drive category growth, while the grocery dairy business maintained growth in a "challenging category environment''. For the group, revenue rises 4.5% to EUR6.4bn; operating profit up 4.2% at EUR781.3m; profit after tax increases 10.9% to EUR588.5m. Norwegian seafood giant Marine Harvest has booked record turnover figures for 2017 after a storming last quarter but, despite this, the company has instigated a costs savings programme. CEO Alf-Helge Aarskog said: "2017 was a great year for Marine Harvest financially, and I am proud of the work all Marine Harvest staff have put in to accomplish this. However, I am concerned about the rising cost and the challenging biology. Hence, we have initiated a global cost savings programme with a target of EUR50m savings. The savings are expected to be realised in all parts of the organisation." Nordic meat group Scandi Standard saw its sales leap forward by 19% in 2017. CEO Leif Bergvall Hansen said: "The positive trend in income was driven by unusually strong Christmas sales, a favourable product and channel mix as well as higher yield in production. "Through investments in Sweden and Norway in the past years, we have achieved substantial growth in net sales of ready to eat products. In order to meet a further increase in demand for these products from our large customers, such as McDonalds, we have decided to expand capacity at our plant in Farre, Denmark." Thai Union Group said its "record'' 2017 sales and profits were driven by "prudent cost control and strong foreign exchange gains'', which offset the impact from rising raw material prices, particularly tuna. The company said the sales contribution from Thai Union brands rose "slightly'' to 42%, with the balance coming from private-label sales.